forest-fire like spreading Zika threatens Rio Olympics !! Microcephaly is a neurodevelopmental disorder. It serves as an important neurological indication or warning sign, but no uniformity exists in its definition. In general, life expectancy for individuals with microcephaly is reduced and the prognosis for normal brain function is poor. "Microcephaly" means "smallheadedness”. The 2016 Summer Olympics, officially the Games of the XXXI Olympiad, will take place in Rio de Janeiro, Brazil, from 5 to 21 August 2016. The host city of Rio de Janeiro was announced at the 121st IOC Session held in Copenhagen, Denmark, on 2 October 2009. …. ..now, Rio's Olympics are on the verge of disaster as fear grows over the Zika virus, which has left more than 4,000 newborns with shrunken heads. Female spectators and even athletes of childbearing age are being warned by countries and medical professionals around the world to reconsider their plans to travel to Brazil for fear of what could happen to their unborn children after the country was overrun by the mosquito-borne disease. Russia and Australian officials have both raised fears for those women preparing to compete in August's Games, while numerous airlines around the world are offering pregnant women the chance to swap or refund their tickets to avoid travelling to affected areas - of which Brazil is the worst. 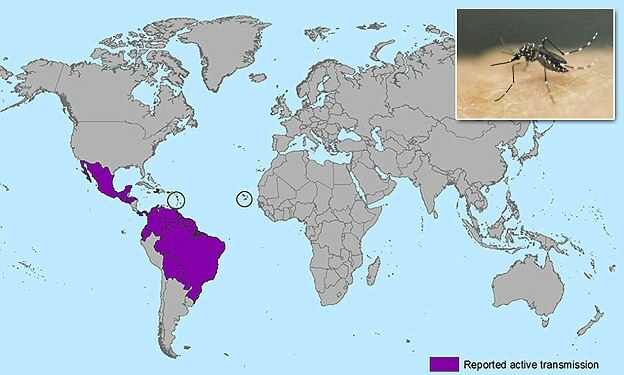 Originally from Africa, Zika spread to Asia and was first registered in Brazil in the middle of last year, believed to have been brought to the country by tourists during the World Cup 2014. 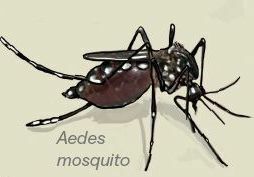 The virus has since been spreading like wildfire through the northeast thanks in part to the region's widespread poverty, equatorial heat and chronic infestations of the Aedes aegypti mosquito, which also spreads dengue fever and chikungunya. Despite the World Health Organisation saying they are 'very, very unlikely' to advise against travelling to Brazil in the next year, officials now fear the rapid spread of the Zika virus may deter sports fans and athletes from attending the Olympic Games next year. Up until recently, Zika was considered a benign virus. It was discovered in Uganda in 1947 and for decades caused only small and sporadic outbreaks in far-off places like Micronesia. At worst, people would suffer from a rash and fever with some aches and pains. Most people never got any symptoms at all. But when the mosquito-borne virus showed up in Brazil in 2015, everything changed. Unlike in Africa, where Zika has been circulating for decades, the population in Brazil had never been exposed to the mosquito-borne virus and therefore had no immunity. Brazil is also home to many hot and densely packed cities, where the mosquito that carries that virus thrives. These conditions helped Zika "spread explosively," as the World Health Organization put it. The virus is now expected to reach almost every country in the Americas (except for Canada and Chile) – and that is a source of major worry !! Zika virus (ZIKV) is a member of the Flaviviridae virus family and the Flavivirus genus. In humans, it initially causes a mild illness known as Zika fever, which since the 1950s has been known to occur within a narrow equatorial belt from Africa to Asia. In 2014, the virus spread eastward across the Pacific Ocean to French Polynesia, then to Easter Island and in 2015 to Central America, the Caribbean, and South America, where the Zika outbreak has reached pandemic levels. Over the past year, pediatric neurologists in Brazil began to notice that some pregnant women infected with Zika have given birth to babies with a terrible birth defect called microcephaly, which is characterized by a shrunken head and incomplete brain development. Researchers still don’t fully understand the link between Zika and microcephaly, but this serious birth complication is a big part of why Zika is suddenly dominating headlines — and shaping up to be a global public health emergency. In Britain, experts say mosquitoes linked to illness are coming into UK on container ships and in the grooves of car tyres. Fears the Zika virus could strike Britain were fuelled after an insect expert claimed mosquitos that can carry the disease have been found there. According to experts, there is no vaccine to prevent, or medicine to treat Zika virus. Travellers can protect themselves by taking steps to prevent mosquito bites, such as using a mosquito net and wearing insect repellent. Zika symptoms are similar to flu including fever, joint pain, rash, headache and muscle pain. However, many people show no signs. It's only in the past few months there's been evidence to link infection in pregnancy and birth defects, microcephaly (a small head). The name originated from the tropical forest near Entebbe, Uganda. Zika means "overgrown" in the Luganda language. The forest covers an area of about 25 hectares (62 acres) next to the swamps of Waiya Bay, an inlet of Lake Victoria. The forest is accessible to visitors for bird watching. U19 Cricket World Cup is on .... ICC T20 WC to follow ! The inaugural event was titled the McDonald's Bicentennial Youth World Cup, and was held in 1988 as part of the Australian Bicentenary celebrations. The tournament was notable for the number of future international players who competed. Nasser Hussain; Mike Atherton; Venkatapathy Raju, Chris Cairns, Mushtaq Ahmed and Inzamam-ul-Haq; Sanath Jayasuriya, Brian Lara, Ridley Jacobs, Jimmy Adams – went on to represent their Nations. Indian cricket fans rejoiced further on Nation’s Republic Day with a win over Australia in T20 in a match that saw Ashish Nehra playing after 4 years and Yuvraj Singh too making a come back. Tomorrow, India play their 2nd T20 at Melbourne. Meantime lot happening in neighbouring Bangladesh – the U19 World Cup played in front of empty stands. Today Nepal U-19 pulled off a dramatic 32-run win over New Zealand U-19 in a thrilling encounter in Fatullah. Nepal posted a total of 238 and then defended it by bowling New Zealand out for 206. Nepal have a win-loss record of 11-3 while defending totals of 150 or more. Five of those wins have come against Full Members. Half-centuries from Sarfaraz Khan and Washington Sundar helped India U-19 overcome a dodgy start and beat Ireland U-19by 79 runs and record their 11th win on the trot. In the opener, Bangladesh U19 scored 240, which their bowlers defended with ease despite a hundred from the South Africa U19 opener Liam Smith. It is “ICC Under-19 Cricket World Cup” an international cricket tournament contested by national under-19 teams. First contested in 1988, the World Cup has been held as a biennial event, organised by the International Cricket Council (ICC). The first edition of the tournament had only eight participants, but every subsequent edition has included sixteen teams. Australia and India have both won the World Cup three times, while Pakistan have won twice and England and South Africa once each. Three other teams – New Zealand, Sri Lanka, and the West Indies – have made a tournament final without going on to win. The first win for India came way back on 28th Jan 2000 at Sinhalese Sports Club. 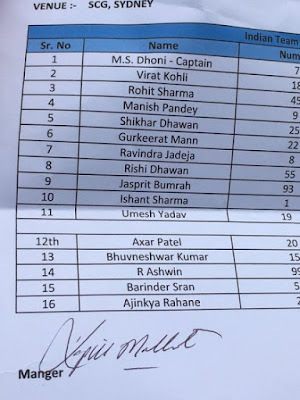 Indians were captained by Mohd Kaif and the playing X1 was Manish Sharma, R Ricky, Yuvraj Singh, RS Sodhi, NK Patel, Ajay Ratra, Y Venugopala Rao, AM Dave, MB Tripathi & SJ Srivastava. In Mar 2008, we again won at Kualalumpur represented by Taruvar Kohli, Srivats Goswami, T Srivastava, Virat Kohli*, Sourabh Tiwary, Manish Pandey, Ravindra Jadeja, Iqbal Abdulla, Pradeep Sangwan, S Kaul & AK Argal. More recently in 2012 India won at Townsville with the team captained by Unmukt Chand, P Chopra, Baba Aparajit, G Vihari, VH Zol, Smit Patel, AD Nath, Harmeet Singh, Passi, Ravikant Singh & Sandeep Sharma. The present version, the 11th one - 2016 ICC Cricket WC is held in Bangladesh from 22 January to 14 February 2016. 16 teams are in the fray, 4 groups – with 2 moving to next round. On 5 January 2016, Cricket Australia announced that the Australian U19 squad had pulled out of the tournament, citing security concerns. Ireland is their replacement. Shortly after comes the 2016 ICC World T20 WC to be held in India between 8th Mar and 3rd April. Sri Lanka are the defending champions. The one at the start of the post is Meg Lanning touted by some to be female Chris Gayle for her ability to win matches single-handedly. Like Gayle, she averages more than a run a ball in Twenty20 internationals, and regularly smashes bowlers all over the ground with the carefree panache. Bajaj Auto roll out bike Bajaj V ~ from the steel of INS Vikrant !! In metalworking, rolling is a metal forming process in which metal stock is passed through one or more pairs of rolls to reduce the thickness and to make the thickness uniform. The concept is similar to the rolling of dough. …. .. … in Marine Hull insurance, there is coverage from cradle to grave – ship (boat) building is covered from the laying of keel, to … the final [funeral] voyage and at last breaking up !! There was a time when Indian two-wheeler segment was all about : Lambretta (Lamby) Vijay, Bajaj scooters – Jawa (Yezdi), Bullet, Rajdoot - then entered 100cc bikes – touting fuel consumption as USP. The big name was ‘Hamara Bajaj” – from the studs of Bajaj Auto having its factory in Akurdi, Pune; Aurangabad and Uttaranchal. Amidst its various brands was “ Chetak ” named after the legendary horse of Raja Rana Pratap Singh. It was launched in 1972 and ruled the market for decades. People used to wait for years after booking, vehicles were sold at a premium, some said they got it by paying in foreign currency which was extremely scarce those days. There were stories of it being unavoidable dowry in the mid 70s and early 80s. 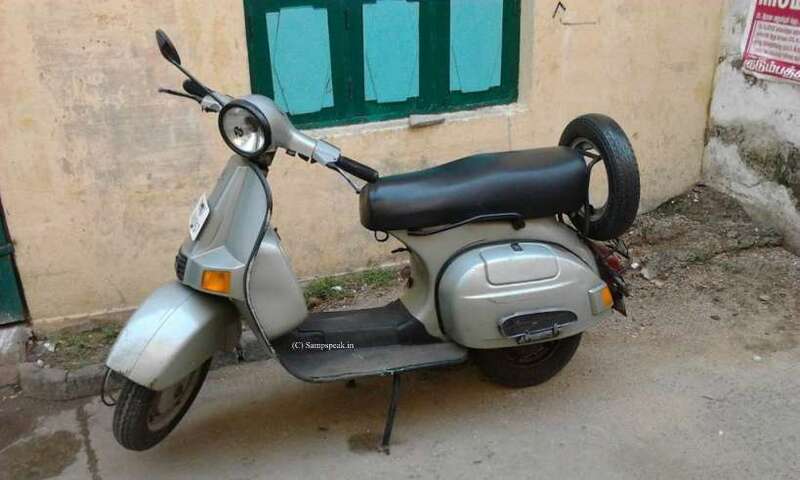 A very sturdy simple one – those days in Bajaj vehicles, the engine was mounted on one side and hence those owners touted that others would find it difficult to ride. I remember taking delivery of Bajaj Chetak after paying Rs.16200/- [all inclusive on road on Jan 1990] – and was so elated in owning it. Alang is a small town in Bhavnagar district in Gujarat….it is on the coast and is known Worldwide for its yards, not exceptionally state of art, mostly manual ….yet something associated with big work ! ~ it is on the Gulf of Khambat, (formerly known as the Gulf of Cambay), an inlet of the Arabian Sea that divides the Kathiawar peninsula. I had sometime posted on a vessel that served Indian Navy gloriously ~ one which was first ordered to be ‘HMS Hercules’ by the Royal Navy. She was laid down in Nov 1943 on the River Tyne; launched in Sept 1945 ~ bought by India in 1957, modified and served the Indian Navy gloriously. It is the famous ‘INS Vikrant’ [another ship – an aircraft carrier by the same was launched in 2013] …. Vikrant was commissioned into the Indian Navy by then Indian High Commissioner to the United Kingdom, Ms Vijayalakshmi Pandit in Mar 1961 in Belfast. The name Vikrant was taken from Sanskrit vikrānta meaning "stepping beyond", i.e. "courageous" or "bold". Captain Pritam Singh was the first commanding officer of the carrier. 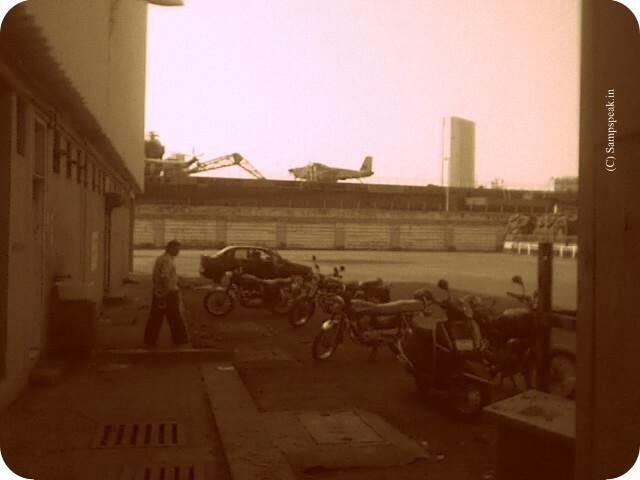 I saw it once in Bombay docked near the Port – those were not the days of smart phones – yet this photo I would cherish. In the 1971 War with Pakistan, Vikrant was stationed off the Andaman & Nicobar Islands along with frigates, INS Brahmaputra and INS Beas; and was redeployed towards Chittagong. On the morning of 4 December 1971, Vikrant’s eight Sea Hawk aircraft launched an air raid on Cox’s Bazar from 60 nautical miles (110 km) offshore. On the evening of 4 December, the air group struck Chittagong Harbour. The Pakistan Navy deployed the submarine Ghazi to specifically target and sink Vikrant. However, Ghazi sank off Visakhapatnam harbour, due to attacks by INS Rajput. After a distinguished service, she was decommissioned in January 1997; was preserved as a museum ship in Cuffe Parade, Mumbai, until it was closed in 2012 due to safety concerns. Then sadly, Vikrant was sold through an online auction to an Alang ship-breaker, reportedly at a cost of Rs.60 crore. It was taken to Alang and was broken ! A sad fate that awaits most ships after say 25 years. These vessels who have outlived their existence are sold and dismantled to recover the valuable steel. A very major % of the vessel consists of steel which can be rerolled besides valuable machinery such as generators, marine engines etc., There are various other miscellaneous material as well. Looking to cash in on the patriotic fervour on Republic Day, Bajaj Motorcycles teased its new bike Bajaj V, which will reportedly be “forged from the invincible metal of the 1971 Indo-Pak war hero INS Vikrant”. Striking a chord with millions of Indians on the 67th Republic Day, Bajaj launched a spirited video campaign with a few hints and flashes of the upcoming Bajaj V. “We at Bajaj were determined to not allow history to fade away into oblivion. So we took INS Vikrant’s metal, melted it and gave it a new face,” the voiceover says, stirring patriotic feelings in the viewer. 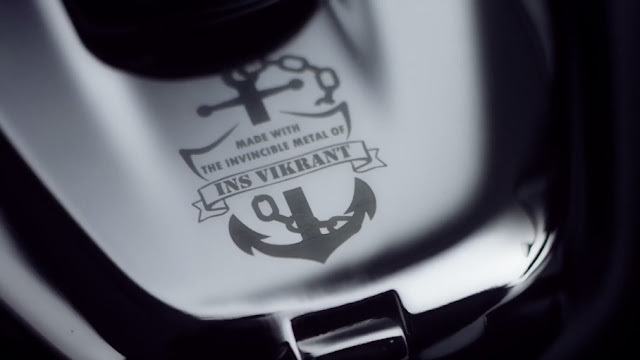 From the silhouette, the bike looks like a classic motorcycle with alloy wheels and a short saddle, and a special INS Vikrant logo will be engraved on the tank. Bajaj hopes national pride will push consumers to not miss the unique opportunity to own a piece of Indian naval history. The news is that Bajaj Motorcycles will launch Bajaj V on February 1, ahead of the Delhi Auto Expo 2016, alongside three other bikes. It is nostalgia for the Nation ! I had earlier posted on the innovative Spider camera seen at Chepauk during IPL 4 in Sept. 2011. SCG at last, gave us a win – the hero was Manish Pandey who shot into limelight with a century in IPL. His century in third innings is the least by any Indian batsman. Surprisingly, the earlier record holder is not Sachin, Sehwag, Dravid, Ganguly but Kedar Jadhav, who got his first century in his fourth innings, against Zimbabwe in Harare in 2015. Manoj Prabhakar(1987) and MS Dhoni (2005) got their maiden ton in their fifth innings. At SCG – the first ball Virat Kohli faced in a tight and ultimately successful chase at SCG should have gone for four runs. Instead, the ball was called dead because it hit the spidercam on its way to the boundary. In the last Test that India had played at the SCG, Steven Smith dropped a sitter from KL Rahul because he was distracted by the spidercam. Dhoni clearly was not amused. He called for balance when it comes to intruding the field of play for TV gimmicks. He has also spoken about other gimmicks that have mushroomed with the advent of Twenty20. "I am quite a traditional guy," Dhoni said. "I have always felt that… anything that disturbs the game of cricket I don't like it. It all started right from the T20 where people would be like, 'Why don't you wear a mic? ', 'Why don't you wear a camera?' "I have always felt there is a need for balance. At the end of the day it is a spectator sport, people watching on television, but at the same time four runs can matter, especially when it is a close game. Those four runs can be crucial. Everyone gets penalised, why not have the same system for the spidercam? Say, 'Okay if you get hit, 2000 dollars per hit.' Let's make it interesting. Dhoni's larger point about the intrusion into the players' space might hold some resonance too, especially shoving cameras up their faces when they have just got out or doing interviews just after their dismissals. Lot many have been craving for the head of Dhoni ~ it has happened to many quality stalwarts of Indian Cricket – Kapil Dev himself was treated badly towards the end of his career. In that perspective an article in Cricinfo by Siddharth Monga was found very interesting. MS Dhoni likes to take the game into the last over. He did at the SCG. Dhoni likes to hit the first ball of the said last over for a six. He did at the SCG. Much as we would like to console ourselves that Dhoni helped India finish their only win of the series, he was a pale shadow of himself. That he was there to take the match to the deep end was indeed the difference between Canberra and Sydney, but the old Dhoni would have done so with much more deliberation. Here, he did play a panicked shot, and was dropped. He did play across the line, and survived a plumb lbw decision. We don't know when Dhoni's next ODI will be, or if there will be one (can't bank on a farewell tour for Dhoni), but more than thinking about whether he nearly botched up a fourth chase in the last five chances he will be extremely pleased that two youngsters helped India cross the line they have been finding so difficult to chase. Manish Pandey, in his fourth ODI, and Jasprit Bumrah, on debut, finally provided the support Rohit Sharma and Virat Kohli so badly needed. When playing against a superior opponent, you need to scrap until the end. In Canberra, Ishant Sharma and Umesh Yadav conceded 29 in the last two overs, in Sydney Bumrah bowled the rare Indian yorker to help India concede just seven after the 48th over. In Canberra batsmen other than top three choked, in Sydney, Pandey remained cool. Not to mention the 10 or so runs he saved in the field. There might be a lesson in here for the selectors to back winners, and perhaps punt a little less. "The kind of innings Manish Pandey has played, it gives you extra 15 games to settle in and start to do what you need to do” is what Dhoni said. An instructive moment was when Dhoni asked Ishant at the start of an over at the death what field he wanted, and you could hear: "Bumrah wali [the one that Bumrah had]." Here was a veteran trying to emulate what a debutant was doing, and he went on to find success. 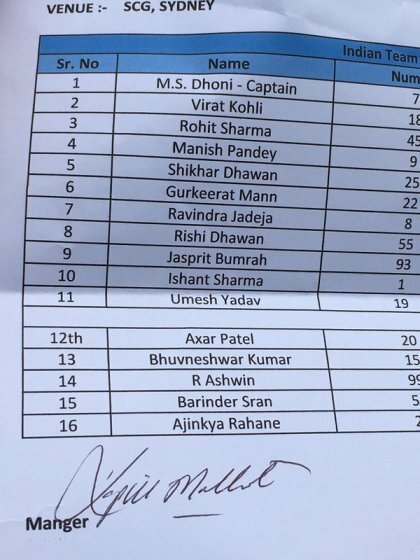 .. .. but with all that Manish Pandey is not in the T20 squad while Gurkeerat is in !! In typical Dhoni fashion he remained noncommittal about what future held for Dhoni the ODI player, joking you might need a public-interest litigation to find out, … wishfully – he continues to play longer and guides more youngsters to maturity. 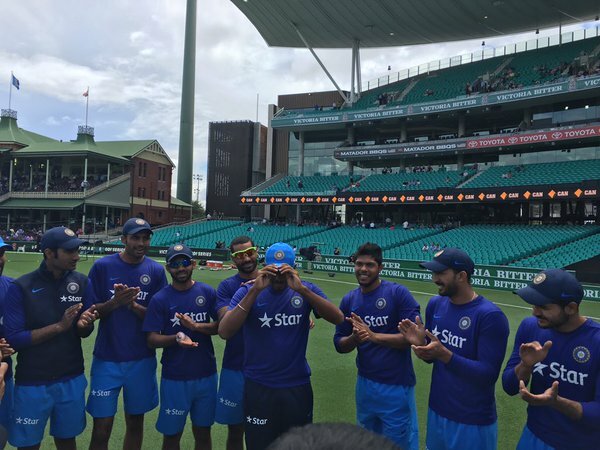 Sydney - Bumrah debuts - will India win ? Is that not a surprise ? Gujarat and Mumbai Indians pacer Jasprit Bumrah has earned his maiden India call-up after being named as the injured Mohammed Shami's replacement for the three T20Is in Australia. There were reports that Bumrah, 22, left for Australia on January 22 along with other T20I squad members - Yuvraj Singh, Harbhajan Singh, Ashish Nehra, Suresh Raina and Hardik Pandya. With 14 scalps in nine matches, Bumrah is the joint-highest wicket taker for defending champions Gujarat in the ongoing Syed Mushtaq Ali Trophy, the domestic T20 competition. I thought he was selected for T20 – today he is playing, debut ! Remember seeing him on 4th Apr 2013 - Dilshan was cleaned up by Johnson – in walked Virat Kohli and neatly tucked the first delivery he faced for a boundary. Then came the boy wonder – with an awkward action, a rookie called Bumrah, who ? – and what an opportunity at 19 to play with Sachin, Ricky Ponting and Pollard……….. it was Jasprit Jasbirsingh Bumrah from Gujarat, bowls right arm medium with an indescribable action. End of over 4 – RCB are 7 with Gayle 3 off 7; Bumrah runs in bowls – short and wide, gets slammed over cover for 4; 2nd again goes through cover; 3rd gets a minor respite; 4th again banged over cover for another 4… a nightmare of a start and how is he going to bowl to Gayle one thought. Groundsmen are in as he has landed poorly almost outside the crease. Off the fifth, an incoming delivery traps Virat Kohli and shouts with joy. Ponting, Sachin, all run towards him…………….. more to follow as the first ball of 7th over has Mayank Agarwal too… what a sensational debut. Bumrah went on to collect one more and finished at 4-0-32-3.
celebrating the birth of Scoville ~ the unit of hotness of food !! Google puts interesting doodles on important days – today it was a game – by clicking the mouse at the correct point on a sliding bar, you can fire ice cream at the offending chilli to neutralise it, with the game getting more difficult as they get hotter. Remember Rajni eating chillies in Sivaji, the Boss ! In my early days, have tasted Ferradol, a popular food supplement of Parke-Davis. It was marketed well as good to health containing calcium and zinc as supplement against - Iron-deficiency anemia, and various salts or complexes of iron are used as hematinics. In 1990s in Kakinada, there were so many Medical representatives known. On a particular day, this representative was speaking about ‘middle class mentality’ of mother going to Doctors suggesting the Dr. to prescribe Ferradol and similar iron tonics – paying the Dr fatly and feeling happy. 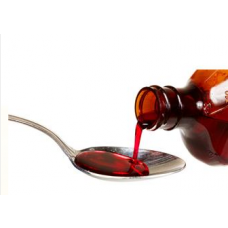 He took a bottle of tonic, drank it in one gulp and continued – whole bottle would do nothing, while people believe that 1 tsp a day would do wonders to their health. Getting back, today’s doodle is on an American pharmacist best known for his creation of the "ScovilleOrganoleptic Test", now standardized as the Scoville scale. He devised the test and scale in 1912 while working at the Parke-Davis pharmaceutical company to measure pungency, "spiciness" or "heat", of various chili peppers. It is Wilbur Lincoln Scoville whose 151st birthday was remembered. Born in Bridgeport, Connecticut, in 1865, Scoville was a pharmacist, not a chef. And in his lifetime he was best known for his textbook The Art of Compounding, which was used as a reference material until well into the 1960s. But in addition to his academic research, he did practical work in the laboratories of the pharmaceutical company Parke-Davis, which in its day was America's largest drugmaker. It was as a Parke-Davis employee — standing at the intersection of academic pharmacology and the practical needs of industry — that he developed both the "organoleptic test" of pepper heat and the Scoville scale to measure it, for which he is widely known today. As John McQuaid recounts in his book Tasty, Scoville invented his scale as part of an effort to improve the production of Heet liniment, Parke-Davis's painkilling cream. The active ingredient in Heet was capsaicin, the key chemical that makes chili peppers spicy. To produce the cream, Parke-Davis needed to extract capsaicin from peppers. And to ensure the cream had a proper dosage of capsaicin, the company wanted to better measure how much was present in different peppers. These days, you could directly measure capsaicin using high-performance liquid chromatography, but in 1912 the best they could do was use the human sense of taste ! The problem was that while it's easy to say that jalapeños are hotter than banana peppers but milder than habaneros, a pharmaceutical company needs to be able to quantify this precisely. Scoville's method was to dry out peppers and then dissolve a specific weight of dried pepper in oil in order to extract the flavorful compounds. The extract was then diluted in sugar water and given to a panel of five tasters. The amount of sugar needed to make the spiciness undetectable to a majority of tasters determines the Scoville rating of the pepper. Till a couple of years back, the Trinidad Moruga Scorpion was known as the world's hottest chile pepper. Just as Naga Viper was beaten – it is now the Carolina Reaper grown by Ed Currie of PuckerButt Pepper Co. in South Carolina. The pepper rates an average of 1,569,300 Scoville heat units, as tested by Winthrop University in South Carolina throughout 2012, says the Guinness entry. Well, one thought that dining is necessity and for pleasure ! – and scoville ?? In Nov 2015, there were rains and Deepvali was dampened by incessant rains which flooded some parts of the city. The worst was to come later. 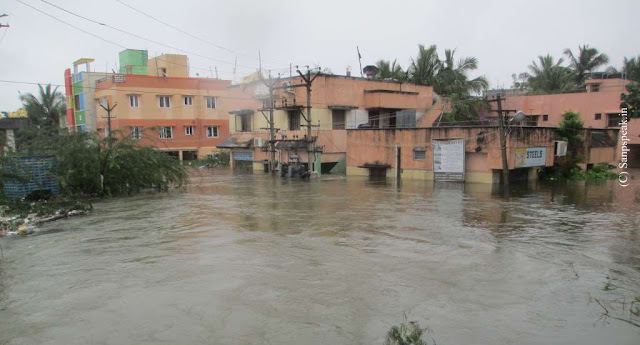 On Dec 1, 2015, freak weather conditions began and soon it was maximum downpour on a single day to swamp Chennai with the heaviest rainfall in a century. Many Chennaities lost their belongings and properties. Many areas were badly affected. Individuals and business establishments were affected and in respect of the former – the losses were mostly uninsured and hence unrecoverable. The World Meteorological Organisation has been producing regular updates on the scale of this year’s El Niño. It is claimed that in El-Nino years, surface water temperatures in the Pacific Ocean rise between 0.5 to 1 C, causing warm air to rise and the colder, moisture-laden air that brings monsoon rain to India is pulled away from the mainland. During India's winter, when rainfall--governed by a separate weather system-- generally tends to occur in northern Andhra Pradesh and Tamil Nadu, the El Nino generally whets cyclones in the Bay of Bengal and brings some rain to the Orissa coast, West Bengal, parts of Andhra and Tamil Nadu. This year, the El Nino has been extremely strong--the most in over 18 years--and coupled with unusually-cold sea-surface waters near the Tamil Nadu and Kerala coast, has gravitated extra gusts towards Chennai, says Chief Meteorologist of Skymet Weather, a private weather forecasting agency. "Normally, rains that would have gone on upwards towards Andhra Pradesh are now turning south towards Tamil Nadu," he added. Other experts say that this explanation is plausible but not well-established because researchers spend far more time analysing the effects of El-Nino on monsoon rather than the winter rains, also known as the North-East monsoon. El Niño is the warm phase of the El Niño Southern Oscillation (commonly called ENSO) and is associated with a band of warm ocean water that develops in the central and east-central equatorial Pacific. El Niño is accompanied by high air pressure in the western Pacific and low air pressure in the eastern Pacific. Developing countries dependent upon agriculture and fishing, particularly those bordering the Pacific Ocean, are the most affected. Miles away, the United Kingdom was in the middle of a massive flooding crisis. For the fourth time in a decade, large parts of Northern England were underwater following high levels of rain that caused riverbanks to burst on Boxing Day. For Londoners, the images of the devastation in Lancashire and Yorkshire can seem very distant - it's easy to forget that London is built on the banks of a massive, tidal river. For much of its history, London has been plagued by floods. In 1928, a combination of melting snow, a high tide, and a storm surge caused the Thames river to burst its banks, devastating central London. Iconic landmarks including the Houses of Parliament, The Tate Gallery, and the Tower of London were surrounded by water. If you thought that the devastating wet spell has changed the climate – you are wrong. 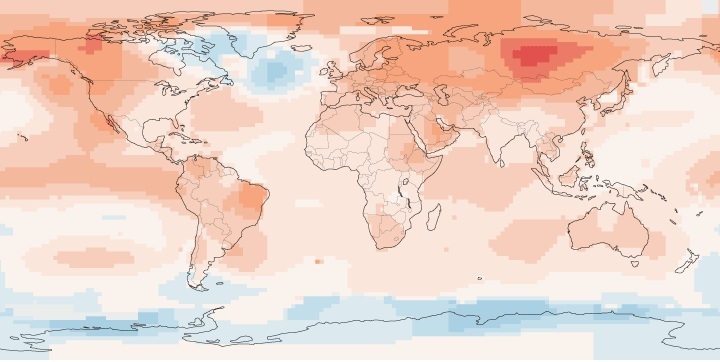 The year 2015, was the Earth's warmest since record-keeping began in 1880, the U.S. National Oceanic and Atmospheric Administration and NASA said Wednesday. It's been clear for quite some time that 2015 would steal the distinction of the hottest year from 2014, with 10 out of the 12 months last year being the warmest respective months on record -- and those records go back 136 years. While it wasn't necessarily a surprise that 2015 finished in first place, its margin of victory was startling -- it lapped the field, with the average temperature across the entire planet 1.62˚F (0.90˚C) above the 20th century average, more than 20% higher than the previous highest departure from average. This was aided by a December that looked and felt more like a March or April for much of the Northern Hemisphere, where traditional winter holidays had weather that was neither traditional nor winter-like. In fact, December became the first month to ever reach 2 degrees Fahrenheit above normal for the globe. In the United States, December was both the warmest and the wettest on record -- no other month has ever held both distinctions for the country. It is somewhat ironic that this news comes out of Washington on a day the city prepares for what could be one of the biggest snowstorms in its history -- but big snows can occur even in the warmest years. “The whole system is warming up, relentlessly,” said Gerald A. Meehl, a scientist at the National Center for Atmospheric Research in Boulder, Colo. It will take a few more years to know for certain, but the back-to-back records of 2014 and 2015 may have put the world back onto a trajectory of rapid global warming, after a period of relatively slow warming dating to the last powerful El Niño, in 1998. Followers of Indian Cricket are well experienced to witnessing losses – yet today’s performance hurts badly ! .. .. .. What Umpire Pashchim Girish Pathak did in Vijay Hazare Trophy, John Ward who is known to him followed at International level. It is a prolific scrub-type tree and is often one of the first species to regenerate on cleared land. 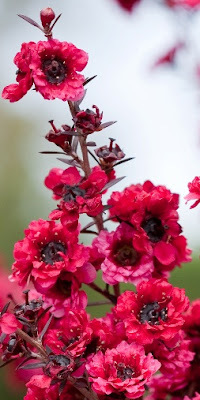 Heard of ‘Leptospermum scoparium’, commonly called mānuka, New Zealand teatree, a species of flowering plant in the myrtle family Myrtaceae, native to southeast Australia and New Zealand. Australia’s 18th consecutive win was achived at Manuka Oval, located in the suburb of Griffith, adjacent to Manuka, a business district of Canberra, Australia's capital. The site of Canberra was selected for the location of the nation's capital in 1908 as a compromise between rivals Sydney and Melbourne, Australia's two largest cities. Batsmen are dominating one-dayers like never before ~ Indians would not disagree. At Perth, Rohit Sharma hit 171* followed by 124 at Brisbane; at Melbourne Virat Kohli made 117 and today at Canberra – Shikhar Dhawan made 126 and Kohli 106 - Chasing a tall 349, Indians were 277/1 off 37.2 – a simple win beckoned, which Indians messed up losing wickets at 277; 278; 286; 294; 308; 311; 315 & 323 – snatching defeat from the jaws of victory. All centuries made by Indians went in vain this Series. A very inept batting performance ! Today Australia batted first and India were chasing. Kohli and Dhawan shared a 212-run partnership for the second wicket and required less than a run a ball before John Hastings claimed the wickets of Dhawan and MS Dhoni (0) with the score on 277. It triggered a flurry of ill-disciplined and reckless strokes from India as they threw away what would have been their first win of the series. Kane Richardson joined the party with 5-68, including the key wicket of Kohli, who spooned a catch to Smith at mid-on just after Dhawan's departure. 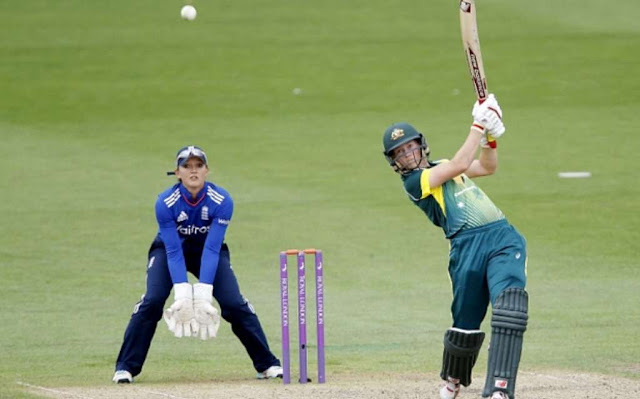 Without injured headliners Mitchell Starc and James Pattinson and with Josh Hazlewood rested, Hastings and Richardson executed one of the great escapes in recent ODI memory. At a time when batsmen were making merry, the Umpires searched for greater protection, with John Ward becoming the first umpire to wear a helmet in an international match. His colleague, Englishman Richard Kettleborough, was taken off the field and replaced by Paul Wilson after being hit on his right leg by an Aaron Finch straight drive in Australia's innings against India. John David Ward from Melbourne made his debut in an ODI between Australia & England at Brisbane in Jan 2014. On Dec 1, it rained cats and dogs in Chennai, Tamil Nadu played Punjab in a Ranji trophy match at Dindigul. Ward was hit on the head by a shot from Punjab's Barinder Sran - a part of the current Indian squad in Australia. Ward fell down and remained motionless for a few minutes. The whole crowd gasped and stood numb in shock for a while, till Paschim Pathak, the square-leg umpire, and the players raced towards Ward. Soon an ambulance was driven inside the boundary ropes too. It took some tense minutes before the ambulance could start on its way to the nearest hospital, which is 30 kms away, but thankfully Ward was seen to be back on his feet by this time. Pathak a few days later wore an helmet in a league match of the Vijay Hazare Trophy. If there is a fact on which there cannot be any criticism whatsoever of MS Dhoni, it has to be his inexorable defense of his teammates, who have consistently let him down in the past few years. For long, Dhoni has copped all criticism that has come Indian cricket team’s way, but never has he taken the backseat and let his men take it. Dhoni has weathered all the storms, even though the undoing was not by him. It is a sad reality that the team is doing very little for facilitate Dhoni leaving on a high. A dejected Dhoni announced shocking retirement from Test cricket, and the team is not backing him enough. For the Indian fan – today another loss rankles !!! When do you hit bed daily ~ how long and how well do you sleep !! ~ it is close to 11 pm as I post this and perhaps this is not good for health !!! Some of us try to sleep as little as possible. There are so many things that seem more interesting or important than getting a few more hours of sleep, but just as exercise and nutrition are essential for optimal health and happiness, so is sleep. The quality of your sleep directly affects the quality of your waking life, including your mental sharpness, productivity, emotional balance, creativity, physical vitality, and even your weight. Sleep isn’t exactly a time when your body and brain shut off. The famous MGR film “Nadodi Mannan” [literally – the vagabond King] was released in 1958. According to some reports the completed movie ran for around 5 hours; in between, many Editors changed and finally the film ran more than 3.5 hours as they feared that audience could go to sleep at such a length. This song of Pattukkottai KalyanaSundaram was a great hit and used to blare in all platforms. The song titled “தூங்காதே தம்பி… தூங்காதே…” is primarily an advice of not to sleep at wanton places and to be alert. It says, those who sleep mindlessly will earn the sobriquet of ‘lazy / idle persons’ and lists out what and all those who slept at the decisive hour missed in life….true words of advice indeed. If all the above is how a normal man struggle for sleep – here is something of how the poor suffer for sleep – reproduced from NY Times which in some ways is a tinted view of what perceive of our Nation. When midnight approaches in Old Delhi and a thick, freezing fog settles over the city, the quilt-wallah Farukh Khan sits on his corner, watching the market for his services come to life. They shuffle up one by one, men desperate for sleep. 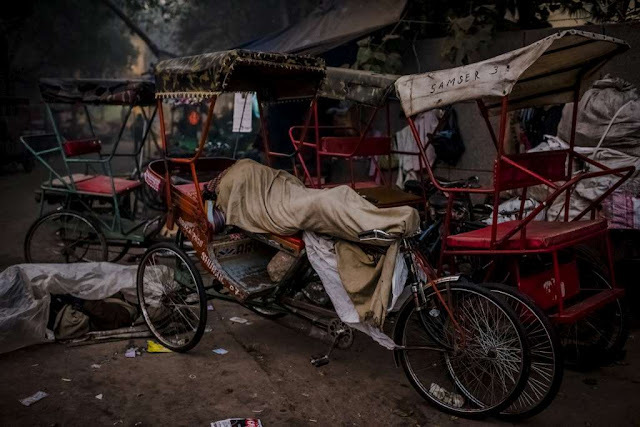 The bicycle rickshaw pullers, peeling one of his 20-rupee, or 30-cent, quilts off a pile, fold their bodies into strange angles on the four-foot seats of their vehicles. The day labourers curl their bodies on the frigid sidewalk, sometimes spooned against other men for warmth. Those who cannot afford to pay Mr. Khan build fires, out of plastic if necessary, and crouch over them, waiting for the night to be over. The story of privatized sleep follows a familiar pattern in this city: After decades of uncontrolled growth, the city government’s inability to provide services like health care, water, transportation and security has given rise to thriving private industries, efficient enough to fulfill the needs of those who can pay. But shelter, given Delhi’s extremes of heat and cold, is often a matter of survival. The police report collecting more than 3,000 unidentifiable bodies from the streets every year, typically men whose health broke down after years living outdoors. Winter presents especially brutal choices to homeless labourers, who have no place to protect blankets from thieves in the daytime hours. Some try to hide them in the tops of trees. Like many of this city’s businesses, sleep vendors are both highly organized and officially nonexistent. In Mr. Khan’s neighborhood, four quilt vendors have divided the sidewalks and public spaces into quadrants, and when night falls, their customers arrange themselves into colonies of lumpy forms. Some have returned to the same spot every night for years. A cluster of “pavement dweller” deaths prompted India’s Supreme Court to rule in 2010 that the country’s large cities must provide shelter for 0.1 percent of the population. It is the pathetic plight of poor – everyone having a sad story – there cannot be any happy story, for some with resources would not come to sleep at such places. Gyumri, is the second largest city in Armenia and the capital of the Shirak Province in the northwestern part of the country. Its name has been changed several times. It was originally founded as Kumayri, later re-founded as Alexandropol and more. In Jan 2015, there was mass murder of seven members of the Armenian Avetisyan family in Gyumri, which put it on map of infamy. 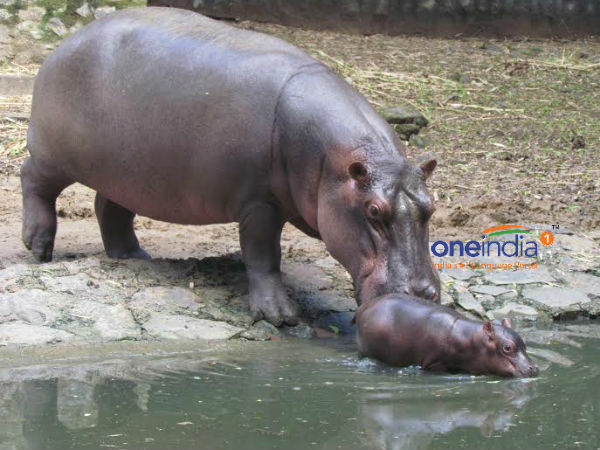 Back home, the year 2016 was welcome with a new baby hippopotamus at Vandalur. According to the zoo officials, besides the new arrival, the zoo has three males and three females. It is stated that the gender identification of the new born could take up to six months. Most animals enjoy their stay at Vandalur – last month Tamil Nadu Chief Minister Ms J Jayalalithaa named four white tiger cubs born here. She named two male tiger cubs Devaa and Nakulaa and two female cubs as Kalaa and Maalaa. The cubs were born to a white tigress, Namrutha. Old timers would recall that the Zoo once stood at Moore Market complex and towards the end – animals looked sickly in small cages. The shift to Vandalur though criticised those days as moving far out of the city was a good move, at least for the animals as they had bigger greener environ. 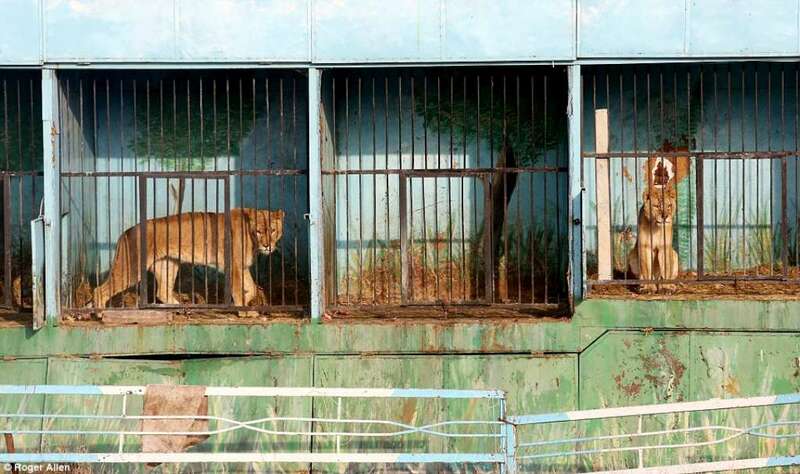 Not so for the few bears and lions starving at the World’s saddest zoo at Gyumri, after being abandoned by Armenian oligarch. MailOnline reports that there was nothing for the inmates of the saddest zoo in the world to celebrate this New Year – just the passing of another year spent in hell. The planet's worst animal park is probably also its smallest. Just three lions, two bears and two guinea pigs live out their boring, hunger-filled days in tiny cages, displaying all the signs of creatures slowly being driven mad by their unnatural existence. They are the residue of a billionaire's whim, bought as entertainment by an Armenian oligarch to underwrite his ego and parade before his friends in themed jungle parties. The animals are malnourished. The zoo is in the Armenian town of Gyumri – the place where the family of Armenian-American superstar Kim Kardashian and her sister Khloe hails from – has not seen a paying guest for over 2 years. With their owner vanishing, the animals scrape along on a starvation diet of slaughterhouse scraps and scavenged woodland plants brought to them by an elderly couple fighting hard to keep them alive. The Kardashians were not taken on a trip to the zoo when they visited their ancestral home town in April 2015: it is not a proud sight. The ragged, hungry and bewildered tenants – lioness Mary, seven, and her cubs Geeta, four, and Zita, two, along with bears Masha, four, and Grisha, nine – are cared for by an elderly couple who simply stumbled upon them one day. The civic authorities refuse to take on any responsibility for the animal and the whereabouts of their former owner is unknown. It is left to a dirt-poor pair of pensioners named Hovhamnes and Alvina Madoyan who look after the zoo now, barely having enough money for themselves. Alvina is quoted as saying : 'I get up every morning and go into the woods to find food for the bears, but it is never enough. 'If I am lucky, some people donate some oats and cereal which we can make into a kind of porridge for them. The animals are deeply unhappy, spending hours swaying to and fro, to and fro, because they have been slowly driven mad by their incarceration. They endure in terrible conditions and with the chilly winter, they could be in for more difficult times. Sorry to read about their plight ~ and back home some groups fight stating that the bulls of Jallikattu are treated cruelly. Akshay Karnewar of Vidarbha bowls left handed and right handed !! India sadly lost at Melbourne making it 0-3 – how many of us know Akshay Karnewar, the 23-year-old from Vidarbha ? ofcourse, a Cricketer !! Today’s breaking news is : former Rajasthan Royals offspinner Ajit Chandila has been banned for life from all official cricketing activities for his role in the IPL 2013 spot-fixing case. Former Mumbai batsman Hiken Shah, who had been suspended by the BCCI in July 2015 for making an "illegal approach" to a player, was handed a five-year ban. When we followed Cricket in 1970s, there was this gentleman, disciplined who was imbued with devotion, dedication, concentration – who would give the bowlers all the due in the first hour and slowly start making runs in style. His attire, batting style, strong defence, straight drive – all treat to watch – that was Sunil Manohar Gavaskar. Until Kapil Dev burst on the scene, we had pure batsman like Sunil, Gundappa Vishwanath, Vengsarkar and bowlers like Bedi, Chandra, Prasanna – in between there was Mohinder who do bit of both and Venkat the great offie, who can bat too. A rare group existed – those who fielded well – Eknath Solkar, Abid Ali, Venkat, Wadekar.. .. There were not many left-handers – saw little of Durrani and Wadekar. Surinder Amarnath faded too quickly. Gaekwad, Chauhan, Gavaskar, Vishwanath, Vengsarkar, Patel, Yashpal, Sandip Patil, Mohinder – were all right handed. Ravi Shastri was seen a bit differently – a right handed batsman, who bowled left arm spin. The Cricket World has been ever changing. Remember that in my childhood days, the pitch would be covered and guarded – the covers would be off only few hours before the match. Players would not be allowed nearer the playing arena and the way it would look and behave would remain a secret, would be the topic of hot debates. When England toured India in mid 1970s, Alan Knott the great wicketkeeper kept sweeping the Indian spinners – repeated by Graham Gooch much later in 1987 Reliance Cup semi finals. Old timers would remember this – in the semi-final of the 1981-82 Ranji season, Karnataka left-arm Raghuram Bhatt spinner who went on to play a couple of tests spun a web around Bombay batsmen. In trying to negate him, Sunil Gavaskar played left-handed and scored a dull unbeaten 18. Bhatt was unplayable and Gavaskar resorted to unorthodox method of tackling him. Later when Vijayakrishna bowled, Gavaskar turned right hander !! For more than 2 decades we have seen batsman play reverse-sweep to exploit the vacant area. A bowler cannot change his action and if he were to change his bowling from over the wicket to round the wicket, he has to inform the Umpire and the Umpire would soundly tell the batsman so. A fielder cannot move from out of his position during delivery stride, especially when field restrictions are on. At Sydney, it was awesome – when David Warner struck Ashwin into a clean 100m hit over long-off fence – was that a long off or long on ? – because David Warner a left hander, seconds before the delivery became a right hander and tonked it out of vicinity. That was one shot which generated quite some controversy with many questioning the legality of switch-hitting. Kevin Pietersen showed the way it could be played; Paul Nixon also played it with great effectiveness. India has had some quality left-arm spinners. Nadkarni, Bishan Singh Bedi, Padmakar Shivalkar, Rajinder Hans, Rajinder Goel, Raguram Bhatt, Dilip Doshi, Maninder Singh, Pragyan Ojha and more ….they turn the ball from left to off… there are some unorthodox left-arm spinners – who use the wrist hand action to spin the ball which turns from off to leg side of the cricket pitch. 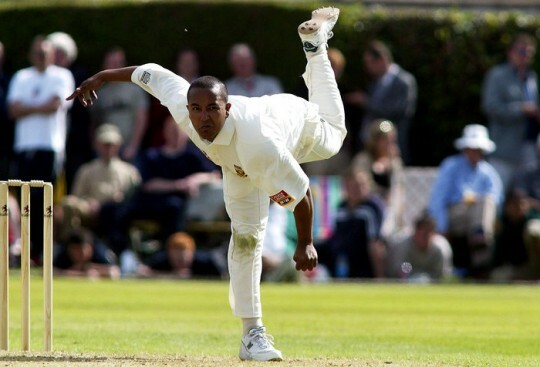 The South African Paul Adams, known for his unusual bowling action, is perhaps one of the best-known left-arm wrist spinners. Uttar Pradesh’s left-arm wrist spinner Kuldeep Yadav was spoken off for his chinaman that turns into the right-hander and the wrong ’un that spins away. Now in this lengthy background, read this piece from ESPN Cricinfo - a week ago, Himachal Pradesh captain and allrounder Bipul Sharma was trying to chase down Vidarbha's 183 in a crucial league match of the Syed Mushtaq Ali Twenty20. The winner would earn a ticket to enter the Super League. Bipul, a left-hander, was facing Akshay Karnewar, the 23-year-old Vidarbha left-arm spinner, who he dealt with effortlessly. Then Karnewar told the umpire he was switching to right-arm offspin. "Yeh kaise kya ho sakta hain? [How can this be possible?] He [Bipul] was absolutely shocked," Ravi Thakur, Karnewar's room-mate, says. "Sorry, what?" is an expression frequent among those who have faced the nearly six-foot tall Karnewar. Ever since his first coach, seeing him bat left-handed, instructed him to bowl left-arm spin, Karnewar has posed doubts in the minds of batsmen and umpires with his double act. Ambidextrous spinners are a rarity in cricket, and bowling with both arms is something that has only been tried in international cricket for a bit of light relief. But despite his freakish ability, Karnewar remains modest. His tactic could challenge the batting order – if the captain sends a Right hander, he would bowl left arm and if the incumbent is a southpaw, he would bowl right arm offspin. Karnewar originally started as a right-arm offspinner when he took up cricket seriously as a 13-year-old. His coach then, Balu Navghare, having noticed that Karnewar was doing everything else with his left hand - batting, throwing, everything except writing - encouraged him to try bowling left-arm spin, too. It took Karnewar about two years to feel comfortable bowling left-arm, since when he has bowled with both arms. He has come a long way (ambi)dexterously. Karnewar is a good batsman as well, and again Thakur says he gets far less credit than he deserves. 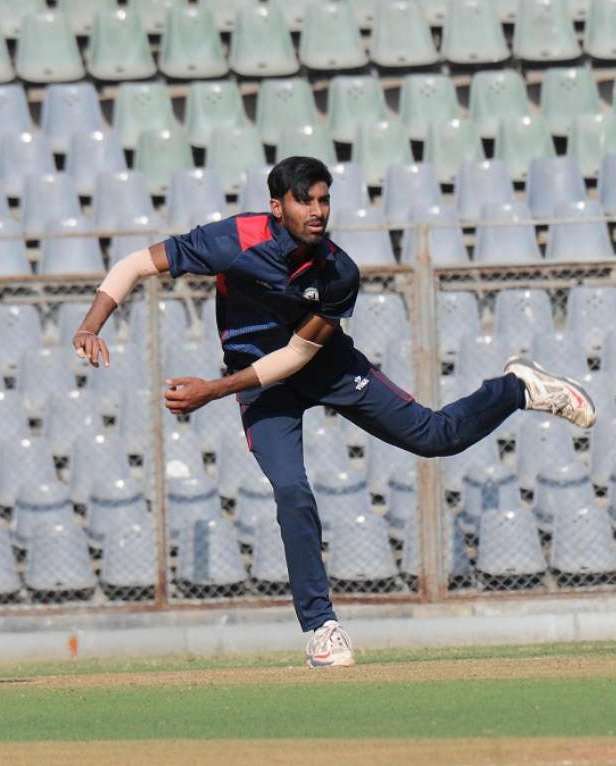 Karnewar has for the first time registered himself for the IPL auction, but he is not disappointed that no IPL franchise has come forward to recruit him so far. "This is the first time I am playing [for Vidarbha] at the senior level [in Vijay Hazare and Syed Mushtaq Ali]. No one knows about my talent. The more I play, the more it will be reflected, and I would imagine people would take notice." So – many a times, being different brings success ! Container flooring ~ eco containers ! traffic snarls at Manali ~ Chennai, Vada Sennai !